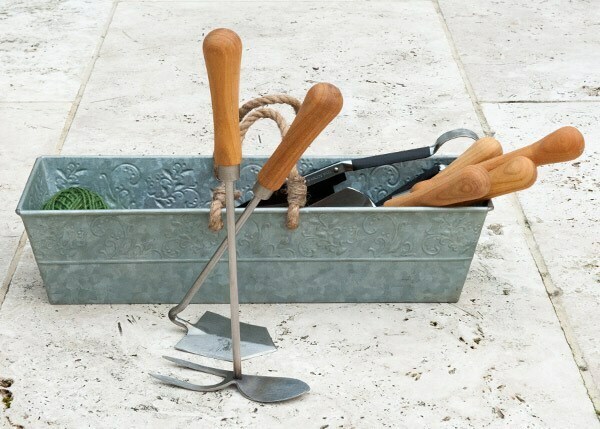 The Sneeboer hand mattock is a neat two-in-one tool with multiple functions, ideal for preparing soil in beds and borders ready for planting. 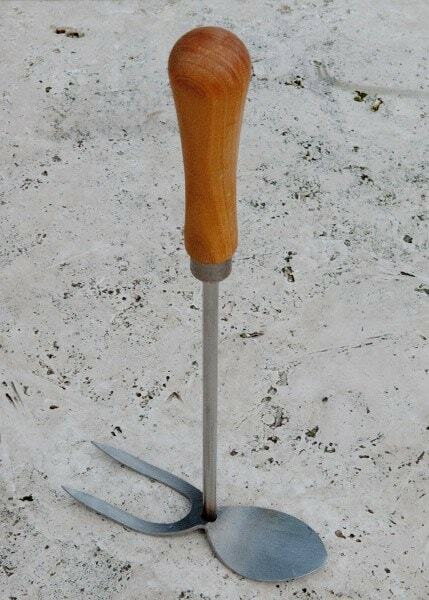 The mattock blade is great for breaking up soil, levering out stones and digging holes and furrows, while the sharp two-tine fork helps with aerating and cultivating, marking out seed drills and weeding between plants. 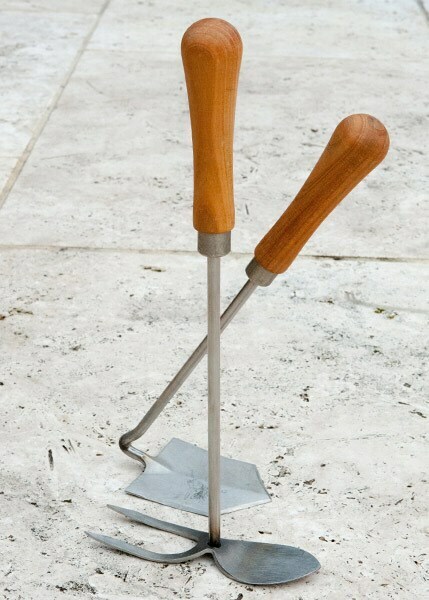 The tool's head is hand forged from rust-resistant stainless steel and fitted to a smooth cherry wood handle for comfortable use.